With the tip of a small sharp knife, poke holes in the leg of lamb about 1 1/2-inch deep. Into each hole, stuff one slice of garlic. Rub the leg of lamb all over with olive oil, parsley and rosemary. Season well with Kosher salt and black pepper. Heat oven to 425 degrees. 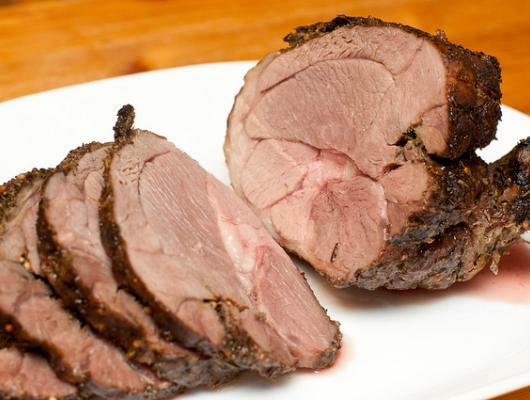 Place lamb in a roasting pan; roast 30 minutes. Reduce heat to 325 degrees, and baste the leg with any juices that have accumulated in the pan. Cook about 2 hours (total cooking time is about 20 minutes per pound), until an instant-read thermometer registers 130 degrees (medium) in the thickest part. Remove roast from oven and allow to rest 15 minutes. Transfer roast to a cutting board and let rest for 10 minutes. Carve in thin slices, parallel to the bone and serve. 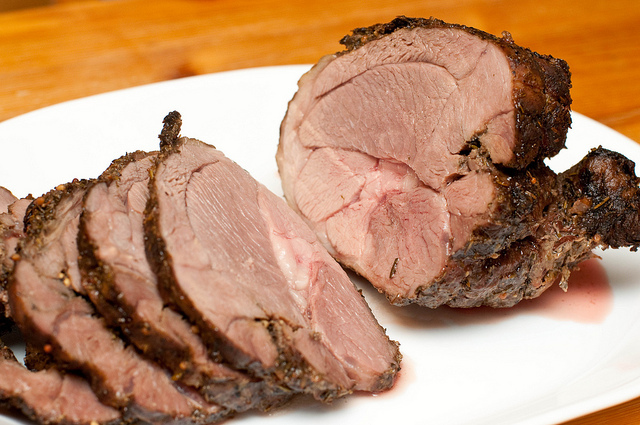 This is an easy and delicious lamb recipe, perfect for entertaining or a holiday dinner. For a beautiful presentation, serve sliced lamb on a bed of fresh arugula.